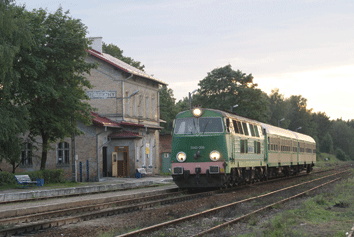 The Elk locomotive depot, formally part of the Traction Section in Bialystok, is responsible for providing diesel traction for the small number of passenger trains to Korsz and Oleck and freights to Suwalki, as well as for the shunting activities in the local yard. For carrying out these assignments, diesel locomotives of the SM42, ST44 and SU45 classes are used; these are actually included on the roster of the Bialystok depot, but are nonetheless at the disposal of the Elk dispatcher. The Elk depot is also the point where class SU45 and SU46 diesels from the Olsztyn Traction Section, and electric locomotives in the EU07 and ET22 classes arriving from Bialystok, lay over while awaiting their next duty. not least due to the fact that it concerns two completely different types of locomotive. Their history along with a description are presented on pages 40-47 by Andrzej Etmanowicz. 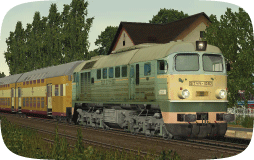 The first EU43s - type 112E locomotives - in spite of earlier agreement, were not accepted by the PKP. Thus the class number was used a second time to denote TRAXX F140 MS type locomotives. 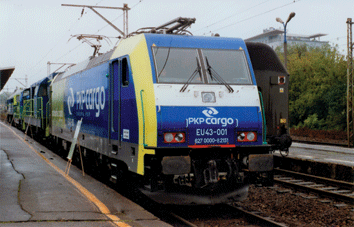 The first of the locomotives of this type, EU43-001, already painted in the newest corporate color scheme of PKP CARGO S.A., and as the symbol of the company is often displayed at various types of exhibitions and presentations, such as shown in the photo, at Warszawa Gdanska station on 21 September 2008 during the Public Transport Days in Warsaw. In the years 1919-20, during the Polish-Bolshevik war, 23 steam locomotives (2-8-0 wheel arrangement) fell into Polish hands, and were assigned to the PKP class Tr103. All worked in the Vilnius Region. 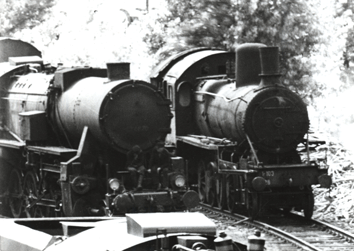 In September 1939, these locomotives were captured by the Soviet army and assigned to the roster of the NKPS railway. In 1941, after the attack on the Soviet Union by Germany, eight Tr103 locomotives ended up in German hands, from which, after the war, 1 was found on the territory of West Germany, 3 in East Germany, 1 in the Szczecin Region, and 1 in Yugoslavia. The "Szczecin" Tr103 was retired at the Godkow depot in 1946, and the "Yugoslavian" one was returned to Poland about 1948. It was retired at the end of the 1940s. 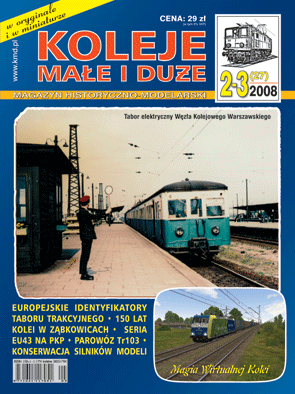 By investing several dozen zloty in the purchase of a legal copy of the program Microsoft Train Simulator, one can become the owner of a virtual railway, whose possibilities are limited only by the creativity of the author of the program and his additions, and become an interesting alternative to traditional modelling. Thanks to the program, the user can travel hundreds of kilometers of railway lines, using chosen equipment - as a train driver, a passenger, or observing the moving consist from a bird's eye view, in an environment of consists controlled by the computer, permitting the projection of real or imagined rail traffic, in accordance with the current timetable or one from the past.